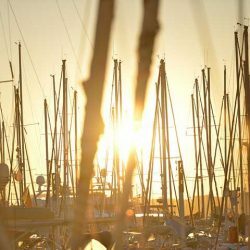 For more than 25 years our team has been delivering services in the field of yacht charter, yacht management and technical support. With 2 offices, a head office on the island of Kos and another one on Rhodos, we try to make your holidays an unforgetable experience. 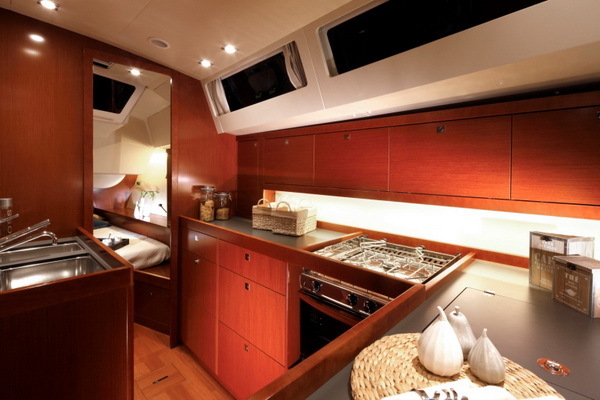 Well-equipped and regularly maintained, our yachts provide comfort and safety. 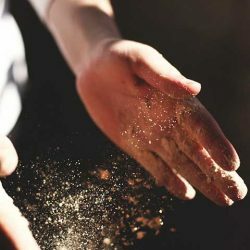 If needed seasoned skippers make sure you have a wonderful time while on board. The company frequently alters the suggested routes in order to bring you to secluded islands with pristine beaches and no soul around. 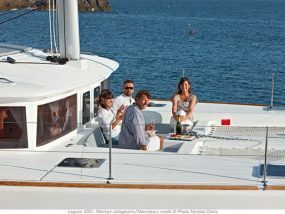 At last but not least we care about making friends that enjoy yachting rather than clients. We give our best every day to fulfil any request at any time. Built for comfort and designed for pleasure, a yacht promises the ultimate vacation experience, combining elegance with the simple pleasures of life. 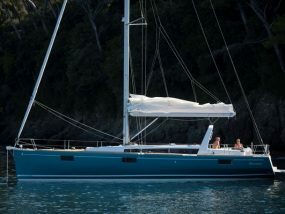 The Lagoon 450 is available for bareboat and skippered charters throughout Dodecanese. 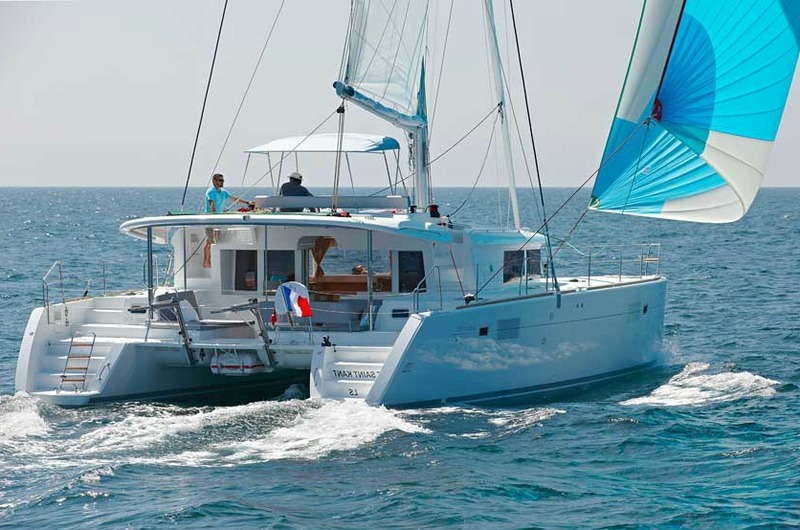 With 4+2 cabins and 4 wc it is perfect for groups of 10 guests. Inflatable life raft, GMDSS, Life jackets, Safety harnesses, Horse shoe bouy, V.H.F, Floating light, Box of flares, Torch, First aid kit, Emergency tiller, Sea Anchor, Bosun’s chair, Navigation lights. GPS, Autopilot, Cockpit control panel, Colour chart plotter, Plotter, Echo-sounder, Log, Wind speed, Windex, Main compass, Sea charts, Pilot book, Clock, Barometer, Binoculars, Hand bearing compass, Flags QNC, List of lights, Electronic sea charts, Electronic harbour charts. 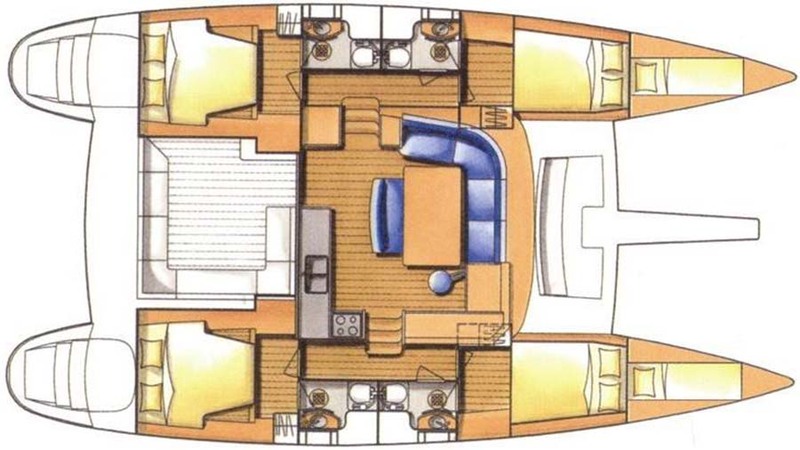 Bimini, Sprayhood,Air Condition , Generator, Radio-CD player, Cockpit speakers, Dinghy, Electric windlass, Hot water, Towels, Bed-linen, MP3, Electric flush toilet, Compressor fridge, Cockpit table, Electric fridge, Electric bilge pump, Battery charger + wire, 12 volt socket, 220 volt socket, Swimming ladder, Gangway, Deck shower, Galley equipment, Gas stove, Gas bottle, Tools, Ships licence, Holding Tank, Oven. *Images from the yard. The images from the yacht may vary in details. 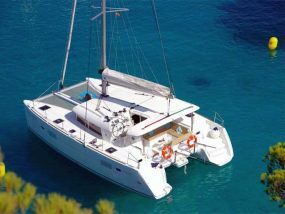 The Lagoon 440 is available for bareboat and skippered charters throughout Dodecanese. 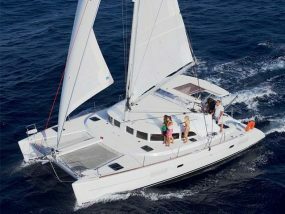 With 4+2 cabins and 4 wc it is perfect for groups of 10 guests. Bimini, Sprayhood, Radio-CD player, Cockpit speakers, Dinghy, Electric windlass, Hot water, Towels, Bed-linen, MP3, Electric flush toilet, Compressor fridge, Cockpit table, Electric fridge, Electric bilge pump, Battery charger + wire, 12 volt socket, 220 volt socket, Swimming ladder, Gangway, Deck shower, Galley equipment, Gas stove, Gas bottle, Tools, Ships licence, Holding Tank, Oven. 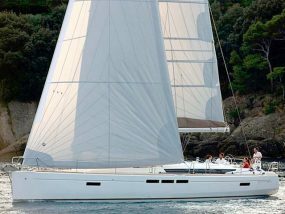 The Lagoon 400 S2 is available for bareboat and skippered charters throughout Dodecanese. 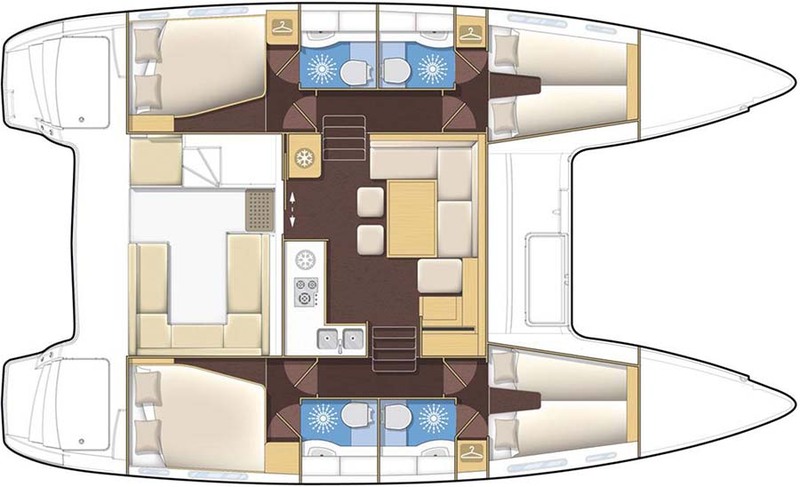 With 4 cabins and 4 wc it is perfect for larger groups of 8 guests. Inflatable Life Raft, GMDSS, Automatic Life Vest, Life Jackets, Safety Harnesses, Horse Shoe Bouy, V.H.F, Floating Light, Box of Flares, Torch, First aid Kit, Emergency Tiller, Sea Anchor, Navigation Lights, Bosun’s Chair. Autopilot, Colour Chart Plotter, GPS, Plotter, Echo-Sounder, Log, Wind Speed, Main Compass, Sea Charts, Pilot Book, Clock, Barometer, Binoculars, Hand Bearing Compass, Flags QNC, List of Lights, Electronic Sea Charts. Bimini, Cockpit Speakers, Dinghy, Icebox, Hot Water, Towels, Bed-linen, Solar Panel, MP3, Electric Flush Toilet, Shower, Radio-CD player, Electric Windlass, Cockpit Table, Electric Fridge, Electric Bilge Pump, Battery charger + wire, 12 Volt Socket, 220 Volt Socket, Swimming Ladder, Gangway, Deck Shower, Galley Equipment, Stove, Gas Bottle, Tools, Ships Licence, Holding Tank, Oven. 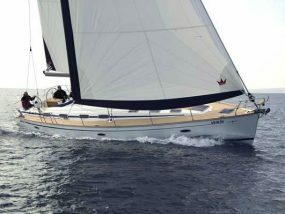 The Lagoon 380 is available for bareboat and skippered charters throughout Dodecanese. 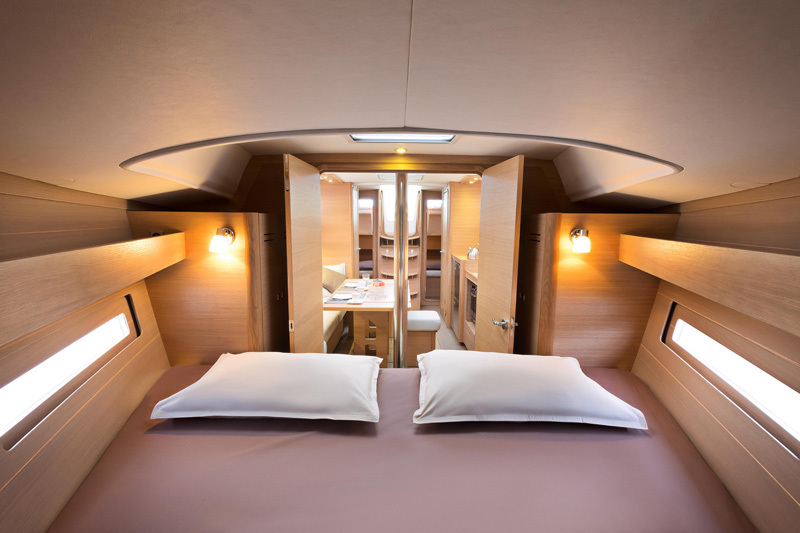 With 4 cabins and 2 wc it is perfect for larger groups of 8 guests. GMDSS, Automatic Life Vest, Life Jackets, Safety Harnesses, Horse Shoe Bouy, V.H.F, Floating Light, Box of Flares, Torch, First aid Kit, Emergency Tiller, Sea Anchor, Navigation Lights, Bosun’s Chair. Autopilot, Colour Chart Plotter, GPS, Plotter, Echo-Sounder, Log, Wind Speed, Windex, Main Compass, Sea Charts, Pilot Book, Clock, Barometer, Binoculars, Hand Bearing Compass, Flags QNC, List of Lights, Electronic Sea Charts. Bimini, Cockpit Speakers, Dinghy, Hot Water, Towels, Bed-linen, Solar Panel, Electric Flush Toilet, Shower, Radio-CD player, Electric Windlass, Cockpit Table, Electric Fridge, Electric Bilge Pump, Battery charger + wire, 12 Volt Socket, Swimming Ladder, Gangway, Deck Shower, Galley Equipment, Stove, Gas Bottle, Tools, Ships Licence, Holding Tank, Oven. 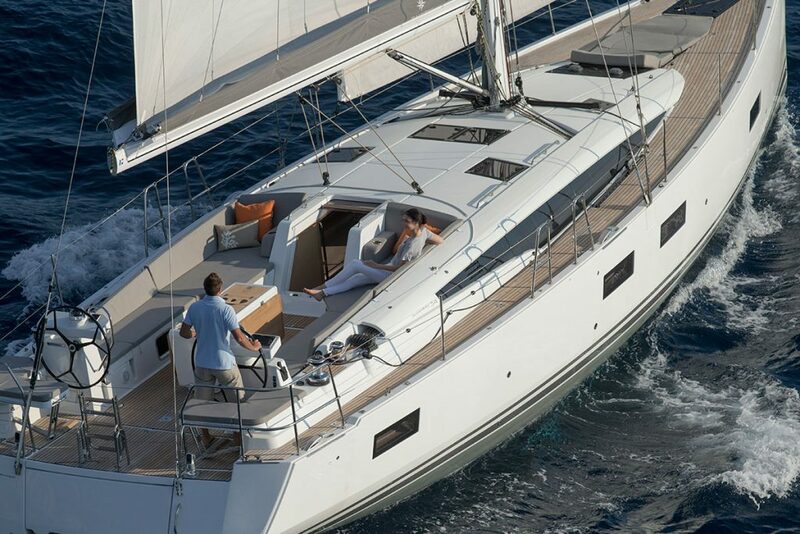 The Jeanneau 54 is available for bareboat and skippered charters throughout Dodecanese. 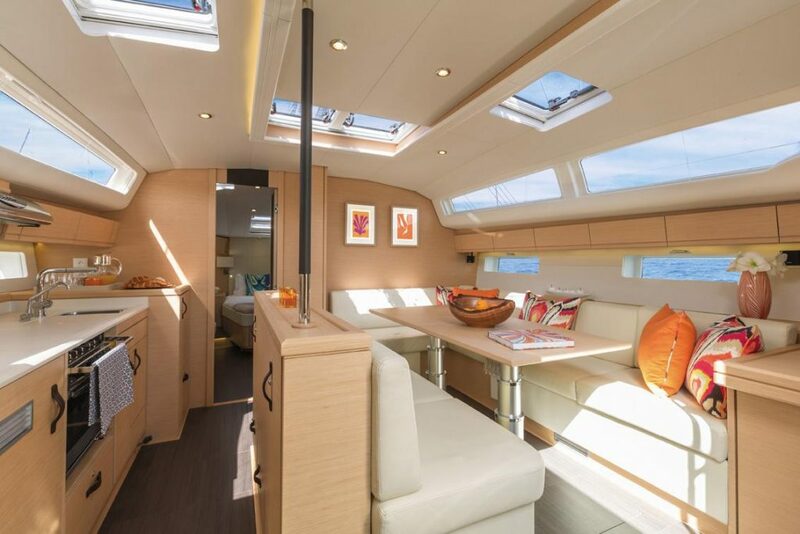 With 6 cabins and 4 wc it is perfect for larger groups of 12 guests. GPS, Autopilot, Colour chart plotter, Plotter, Echo-sounder, Log, Wind speed, Windex, Main compass, Sea charts, Pilot book, Clock, Barometer, Binoculars, Hand bearing compass, Flags QNC, List of lights, Electronic sea charts, Electronic harbour charts. Bimini, Sprayhood, Radio-CD player, Cockpit speakers, Dinghy, Bow thruster, Electric windlass, Hot water, Towels, Bed-linen, MP3, Electric flush toilet, Compressor fridge, Cockpit table, Electric fridge, Electric bilge pump, Battery charger + wire, 12 volt socket, 220 volt socket, Swimming ladder, Gangway, Deck shower, Galley equipment, Gas stove, Gas bottle, Tools, Ships licence, Holding Tank, Oven. 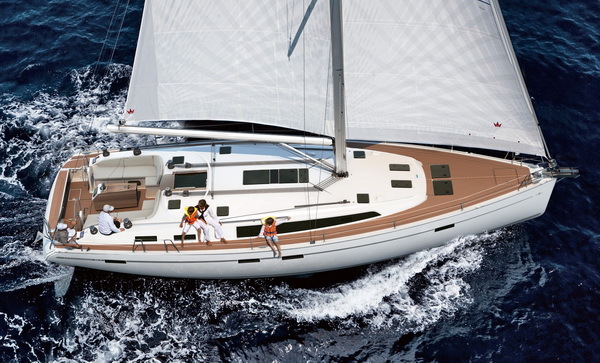 The Sun Odyssey 509 is available for bareboat and skippered charters throughout Dodecanese. 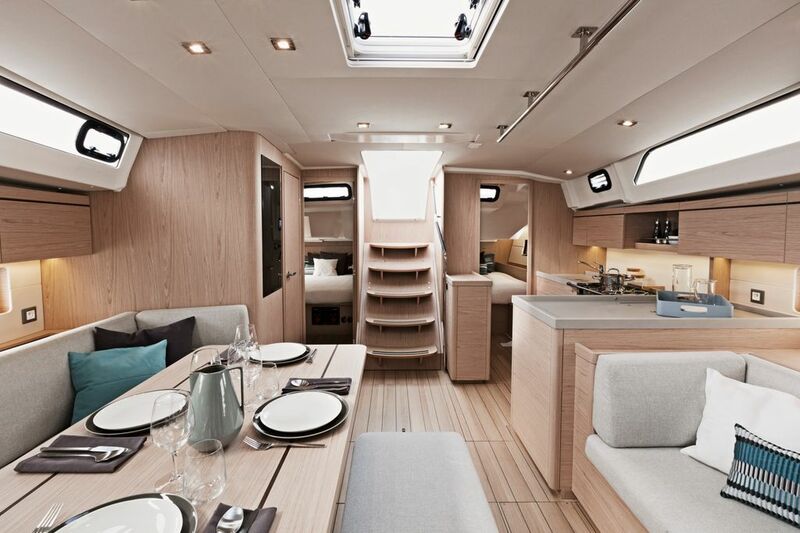 With 5 cabins and 3 wc it is perfect for larger groups of 10 guests. Inflatable life raft, GMDSS, Safety net, Life jackets, Safety harnesses, Horse shoe bouy, V.H.F, Floating light, Box of flares, Torch, First aid kit, Emergency tiller, Sea Anchor, Bosun’s chair, Navigation lights. 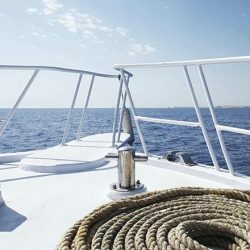 GPS, Autopilot, Cockpit control panel, Echo-sounder, Log, Wind speed, Main compass, Sea charts, Clock, Barometer, Binoculars, Hand bearing compass, Flags QNC, List of lights, Electronic sea charts, Electronic harbour charts. 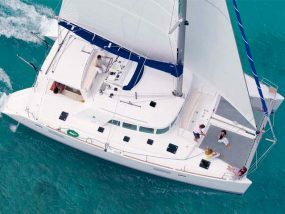 Bimini, Sprayhood, Radio-CD player, Dinghy, Electric windlass, Hot water, Towels, Bed-linen, MP3, Cockpit table, Electric fridge, Battery charger + wire, 12 volt socket, 220 volt socket, Swimming ladder, Gangway, Gas stove, Gas bottle, Tools, Ships licence, Holding Tank, Oven. 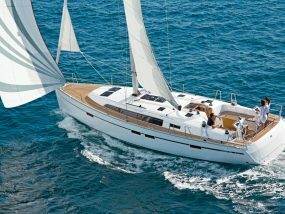 The BAVARIA CRUISER 51 is available for bareboat and skippered charters throughout Dodecanese. 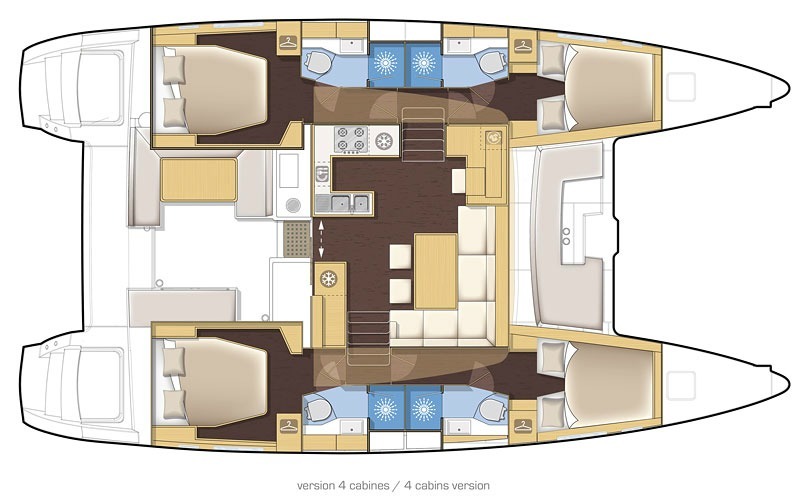 With 5 cabins and 3 wc it is perfect for larger groups of 10 guests. Inflatable Life Raft, GMDSS, Automatic Life Vest, Life Jackets, Safety Harnesses, Horse Shoe Bouy, V.H.F, Box of Flares, Torch, First aid Kit, Emergency Tiller, Sea Anchor, Navigation Lights, Bosun’s Chair. Autopilot, GPS, Plotter, Echo-Sounder, Log, Main Compass, Sea Charts, Pilot Book, Clock, Barometer, Binoculars, Hand Bearing Compass, Flags QNC. Bimini, Sprayhood, Cockpit Speakers, Dinghy, Bow Thruster, Hot Water, Towels, Bed-linen, Radio-CD player, Electric Windlass, Cockpit Table, Electric Fridge, Electric Bilge Pump, Battery charger + wire, 12 Volt Socket, Swimming Ladder, Gangway, Deck Shower, Galley Equipment, Stove, Gas Bottle, Tools, Ships Licence, Holding Tank, Oven. 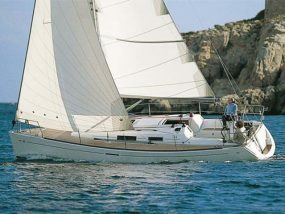 The Bavaria 50 Cruiser is available for bareboat and skippered charters throughout Dodecanese. 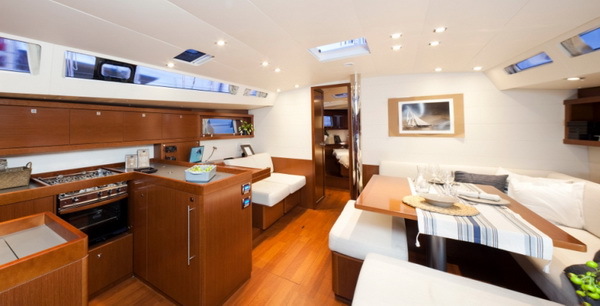 With 5 cabins and 3 wc it is perfect for larger groups of 10 guests. Inflatable Life Raft, GMDSS, Life Jackets, Safety Harnesses, Horse Shoe Bouy, V.H.F, Box of Flares, Torch, First aid Kit, Emergency Tiller, Sea Anchor, Navigation Lights, Bosun’s Chair. Autopilot, Colour Chart Plotter, GPS, Plotter, Echo-Sounder, Log, Wind Speed, Main Compass, Sea Charts, Pilot Book, Clock, Barometer, Binoculars, Hand Bearing Compass, Flags QNC. 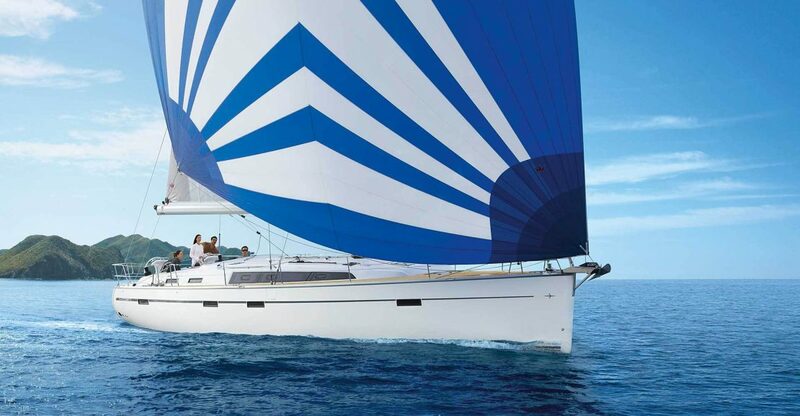 The Bavaria 50 Cruiser is available for bareboat and skippered charters throughout Dodecanese. 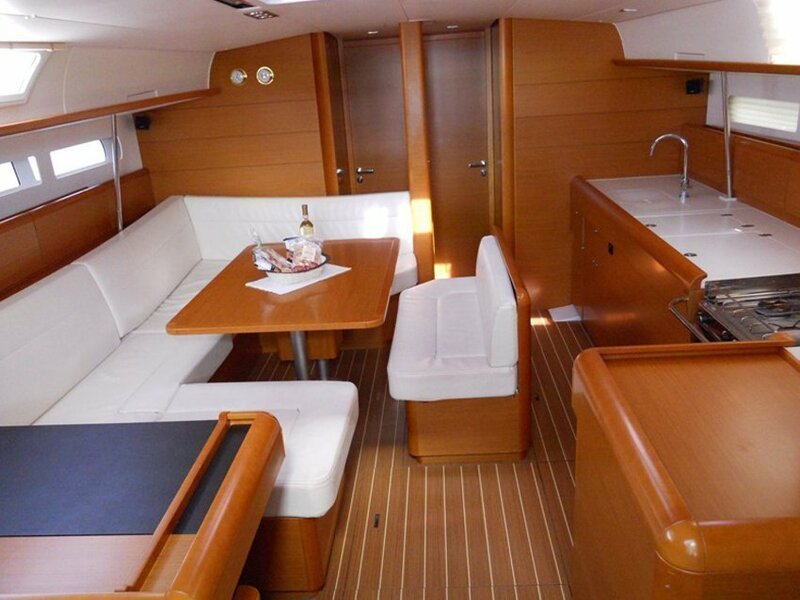 With 4 cabins and 3 wc it is perfect for larger groups of 9 guests. Inflatable life raft, GMDSS, Life jackets, Safety harnesses, Horse shoe bouy, V.H.F, Box of flares, Torch, First aid kit, Emergency tiller, Sea Anchor, Bosun’s chair, Navigation lights. GPS, Autopilot, Colour chart plotter, Plotter, Wind speed, Windex, Main compass, Sea charts, Pilot book, Clock, Barometer, Binoculars, List of lights, Electronic sea charts. 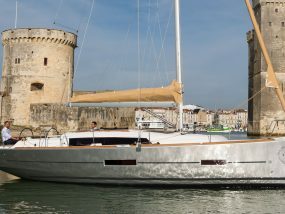 Bimini, Sprayhood, Radio-CD player, Cockpit speakers, Dinghy, Bow thruster, Electric windlass, Icebox, Hot water, Towels, Bed-linen, Solar panel, MP3, Electric flush toilet, Cockpit table, Electric fridge, Electric bilge pump, Battery charger + wire, 12 volt socket, 220 volt socket, Swimming ladder, Gangway, Deck shower, Galley equipment, Gas stove, Gas bottle, Tools, Ships licence, Holding Tank. 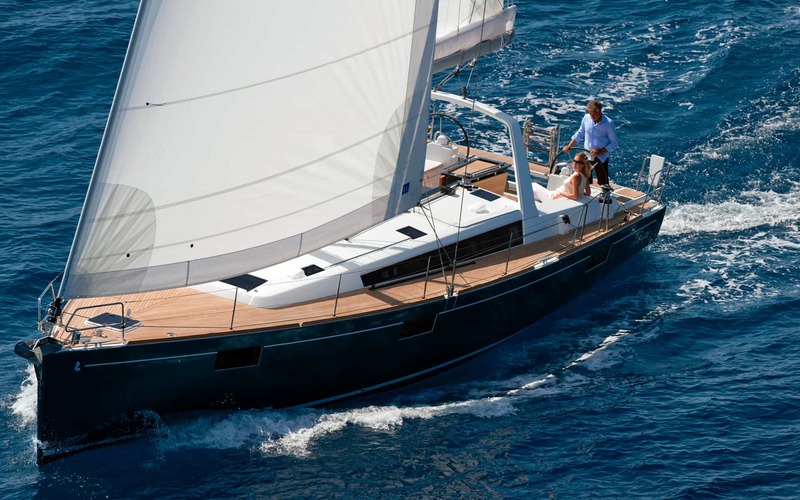 The Oceanis 46.1 is available for bareboat and skippered charters throughout Dodecanese. 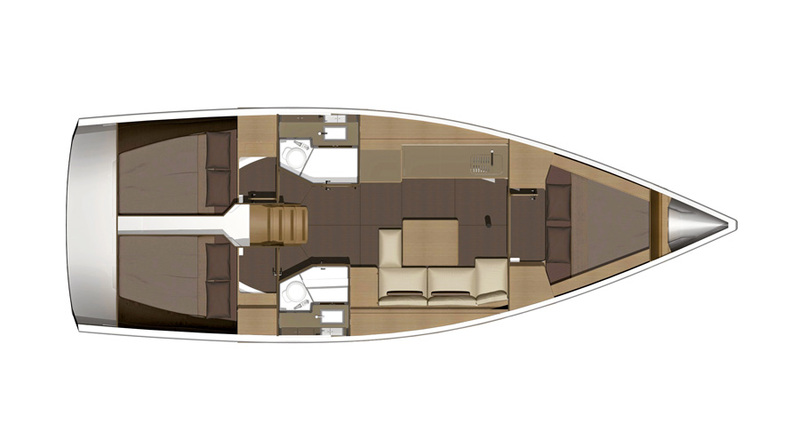 With 4 cabins and 4 wc it is perfect for larger groups of 8+2 guests. 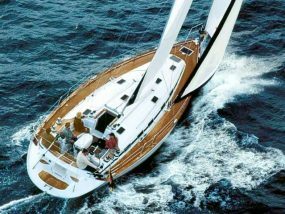 The Bavaria Cruiser 46 is available for bareboat and skippered charters throughout Dodecanese. 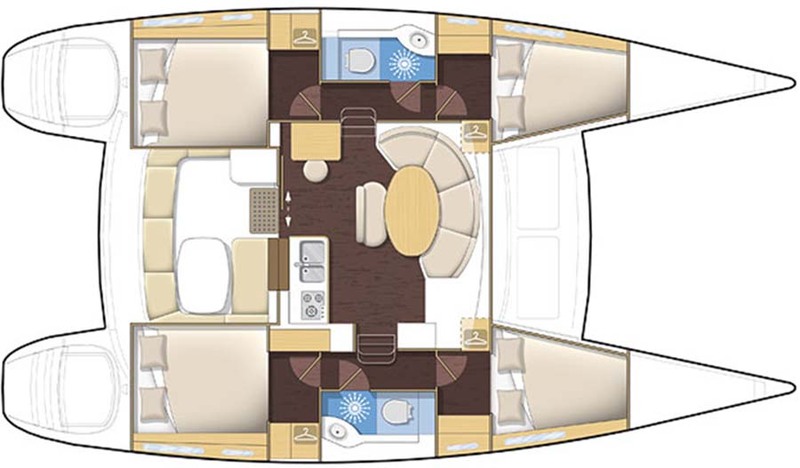 With 4 cabins and 3 wc it is perfect for larger groups of 8 guests. Inflatable Life Raft, GMDSS, Automatic Life Vest, EPIRB, Life Jackets, Safety Harnesses, Horse Shoe Bouy, V.H.F, Floating Light, Box of Flares, Torch, First aid Kit, Emergency Tiller, Sea Anchor, Navigation Lights, Bosun’s Chair. Bimini, Cockpit Speakers, Dinghy, Icebox, Hot Water, Towels, Bed-linen, Electric Flush Toilet, Shower, Radio-CD player, Electric Windlass, Cockpit Table, Electric Fridge, Electric Bilge Pump, Battery charger + wire, 12 Volt Socket, Swimming Ladder, Gangway, Deck Shower, Galley Equipment, Gas Bottle, Tools, Ships Licence, Holding Tank, Oven. 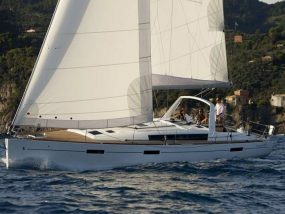 The Oceanis 45 is available for bareboat and skippered charters throughout Dodecanese. 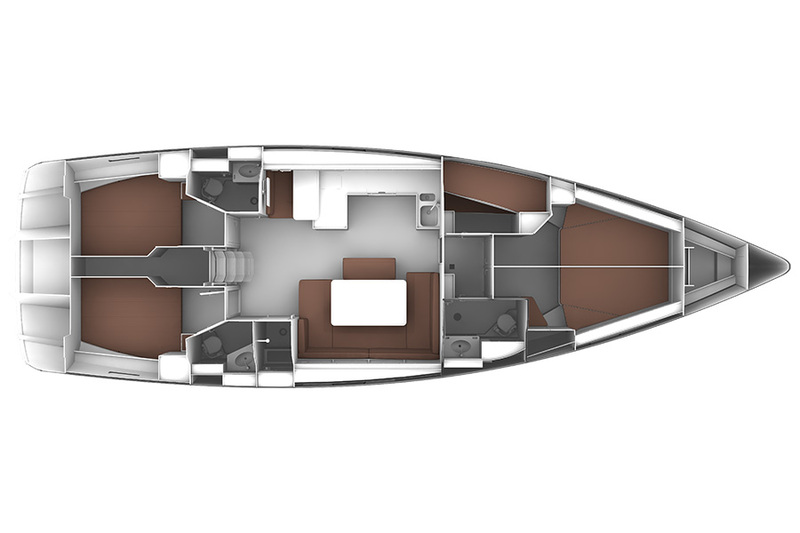 With 4 cabins and 2 wc it is perfect for larger groups of 8+2 guests. 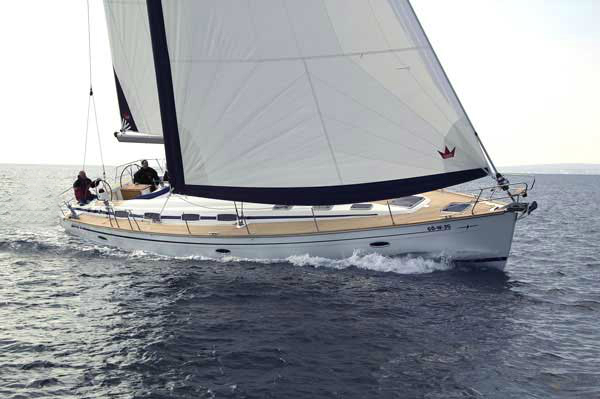 The Bavaria 44 Vision integrates both power and design with ease of handling making it a perfectly smooth boat to sail. 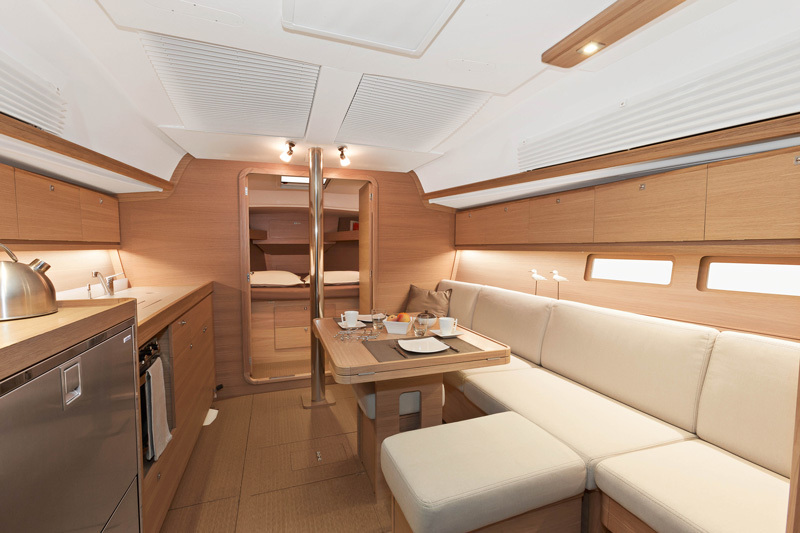 If you’re looking for luxurious accommodations and a sleek, fast boat to sail the Bavaria 44 Vision is perfect for you. 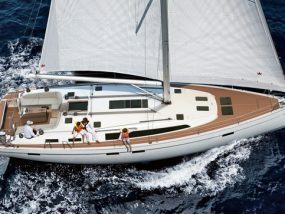 It is available for bareboat and skippered charters throughout Dodecanese. With 3 cabins and 2 wc it is perfect for 6 + 1 guests. Inflatable Life Raft, GMDSS, Life Jackets, Safety Harnesses, Horse Shoe Bouy, V.H.F, Floating Light, Box of Flares, Torch, First aid Kit, Emergency Tiller, Sea Anchor, Navigation Lights, Bosun’s Chair. Autopilot, Colour Chart Plotter, GPS, Plotter, Echo-Sounder, Log, Wind Speed, Main Compass, Sea Charts, Pilot Book, Clock, Barometer, Binoculars, Hand Bearing Compass, Flags QNC, List of Lights. 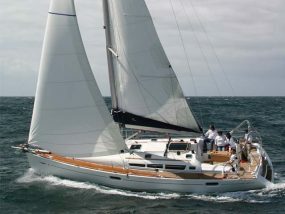 Bimini, Sprayhood, Cockpit Speakers, Dinghy, Hot Water, Towels, Bed-linen, Radio-CD player, Electric Windlass, Cockpit Table, Electric Fridge, Electric Bilge Pump, Battery charger + wire, 12 Volt Socket, Swimming Ladder, Gangway, Deck Shower, Galley Equipment, Stove, Gas Bottle, Tools, Ships Licence, Holding Tank, Oven. 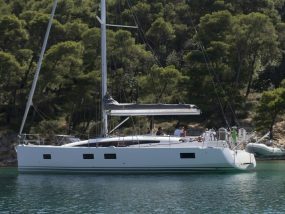 The Sun Odyssey 42i is available for bareboat and skippered charters throughout Dodecanese. With 3 cabins and 2 wc it is perfect for groups of 8 guests. Inflatable life raft, EPIRB, Life jackets, Safety harnesses, Horse shoe bouy, V.H.F, Floating light, Box of flares, Torch, First aid kit, Emergency tiller, Sea Anchor, Bosun’s chair, Navigation lights. GPS, Autopilot, Colour chart plotter, Plotter, Wind speed, Main compass, Sea charts, Pilot book, Clock, Barometer, Binoculars, Hand bearing compass, Flags QNC, List of lights. Bimini, Sprayhood, Radio-CD player, Cockpit speakers, Dinghy, Electric windlass, Hot water, Genaker, MP3, Radio cassette, Cockpit table, Electric fridge, Electric bilge pump, 12 volt socket, 220 volt socket, Swimming ladder, Deck shower, Galley equipment, Gas stove, Gas bottle, Tools. 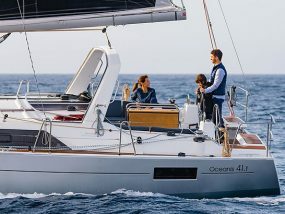 The Oceanis 41.1 is available for bareboat and skippered charters throughout Dodecanese. With 3 cabins and 2 wc it is perfect for 6 guests. 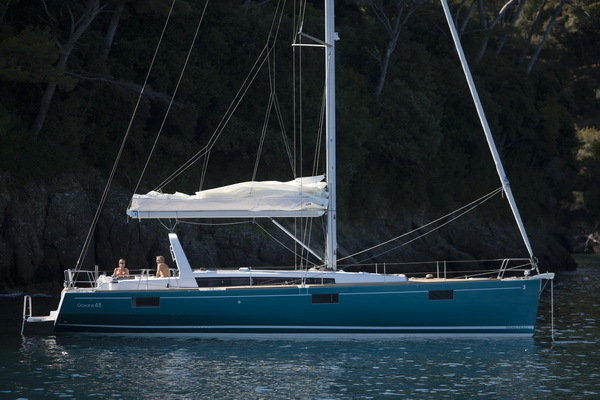 This 11 meter-long sailboat was designed to optimise on-board comfort in all sailing conditions. 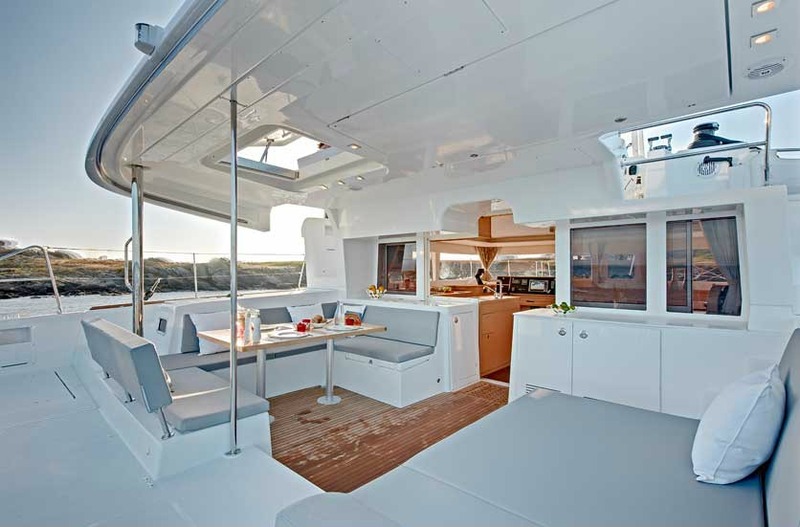 Its modular design appeals to all tastes and offers a perfect setting day and night. 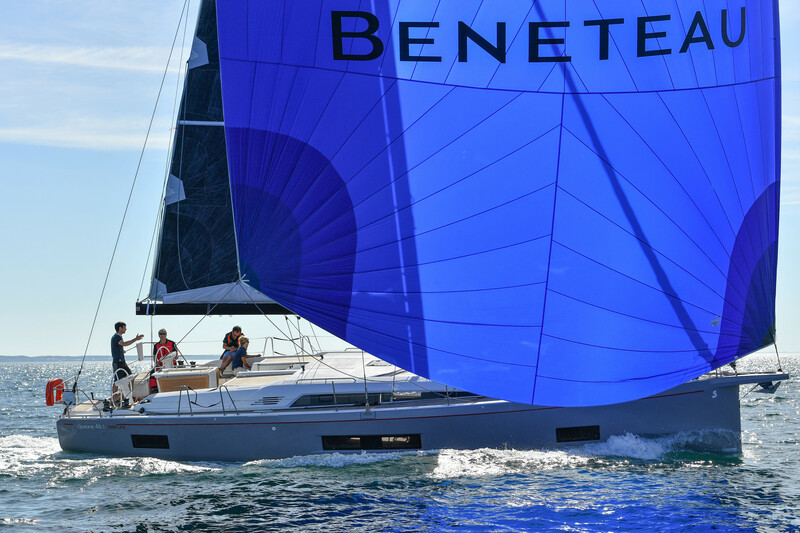 Designed by Dufour Yachts in association with Umberto Felci, this 38-foot yacht sports the latest innovations in terms of hull and appendage design and architecture. 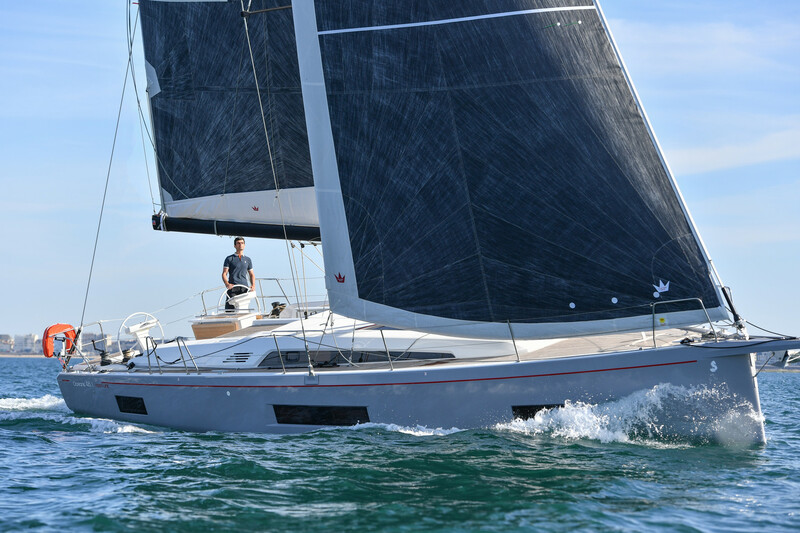 The Dufour Grand Large 382 is also equipped with rigging to maximise comfort on board and to keep the yacht well balanced in all sailing conditions. 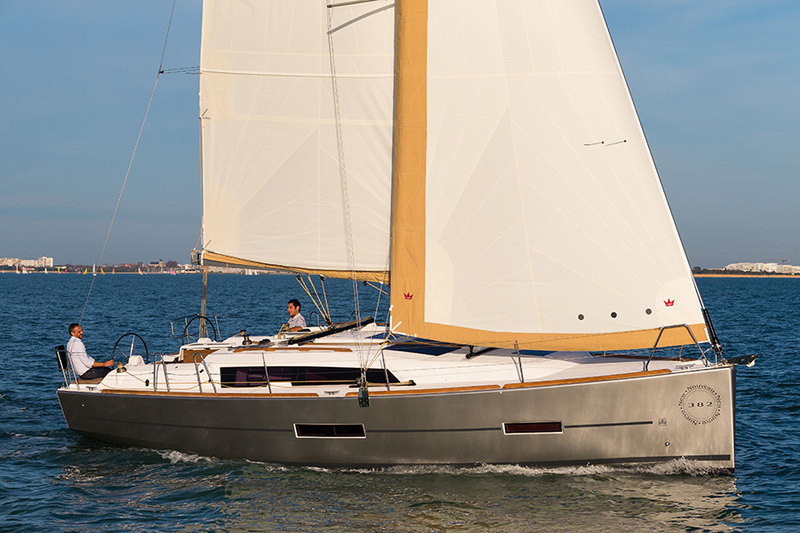 The Dufour 34 Vision integrates both power and design with ease of handling making it a perfectly smooth boat to sail. 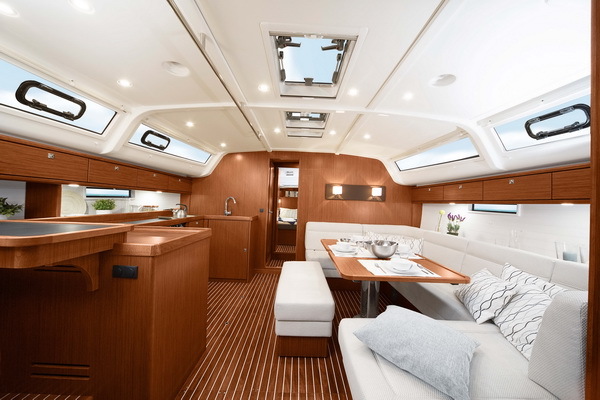 If you’re looking for luxurious accommodations and a sleek, fast boat to sail the Dufour 34 is perfect for you. 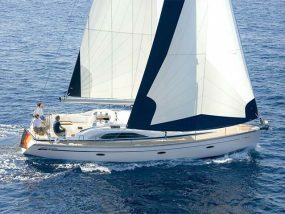 It is available for bareboat charters throughout Dodecanese. With 2 cabins and 1 wc it is perfect for 4 guests. EPIRB, Life Jackets, Horse Shoe Bouy, V.H.F, Box of Flares, Torch, First aid Kit, Emergency Tiller, Sea Anchor, Bosun’s Chair. Autopilot, GPS, Echo-Sounder, Log, Windex, Main Compass, Sea Charts, Pilot Book, Clock, Barometer, Binoculars, Hand Bearing Compass, Flags QNC, List of Lights. 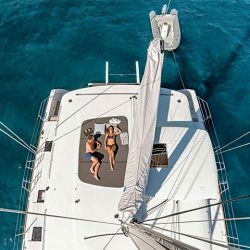 Sprayhood, Dinghy, Hot Water, Towels, Bed-linen, Radio-CD player, Electric Windlass, Cockpit Table, Electric Fridge, Battery charger + wire, 12 Volt Socket, Swimming Ladder, Gangway, Deck Shower, Galley Equipment, Stove, Gas Bottle, Tools, Ships Licence.